Managed to sneak in an hour or painting last night and snapped some pics this evening after I got home. 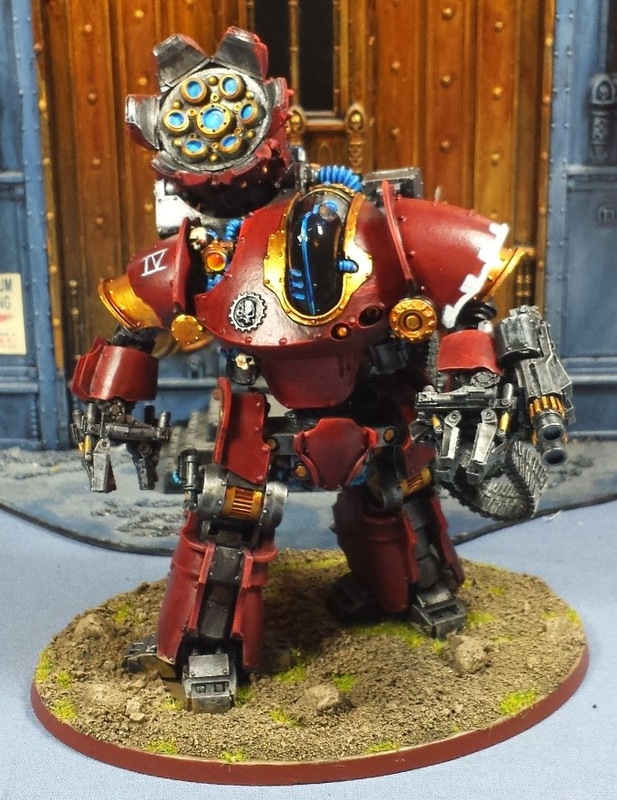 Thanatar ready for deployment! Not a whole lot of change from the previous post, got the shading on the gold and blue, managed to get the sealant on in a break in the surprisingly rainy weather, then applied the gloss coat to the faceplate. I'm thinking that it needs a little battle damage/weathering, now that I'm looking at it. I do like the 'fresh off the factory floor' look though - the tech priests would endeavor to keep their charges in peak condition, after all! 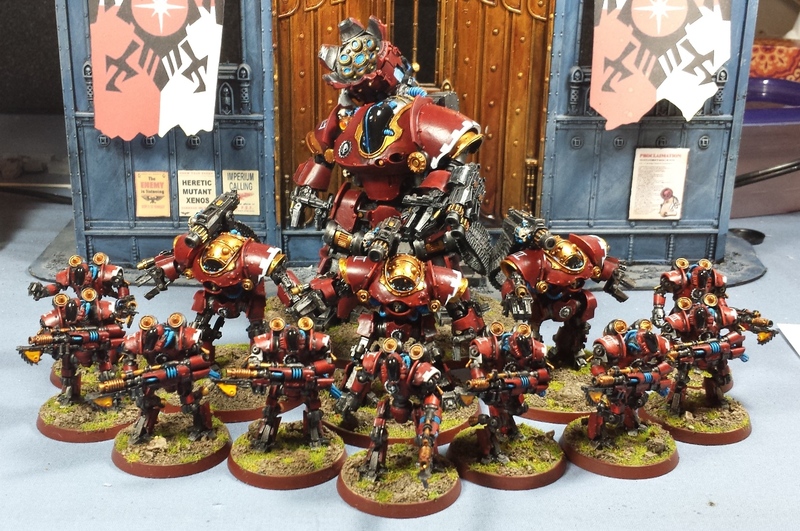 Pulled out all the Castellax and Thallax for a little Legio Cybernetica family portrait - quite pleased with how they all tie together! Now that is a family portrait! Brilliant stuff. I would happily remove piles of orks from the table just to play this army. Great army shot! That family portrait is nice - scary, but nice. Nice, I like the cohesive look of the family. 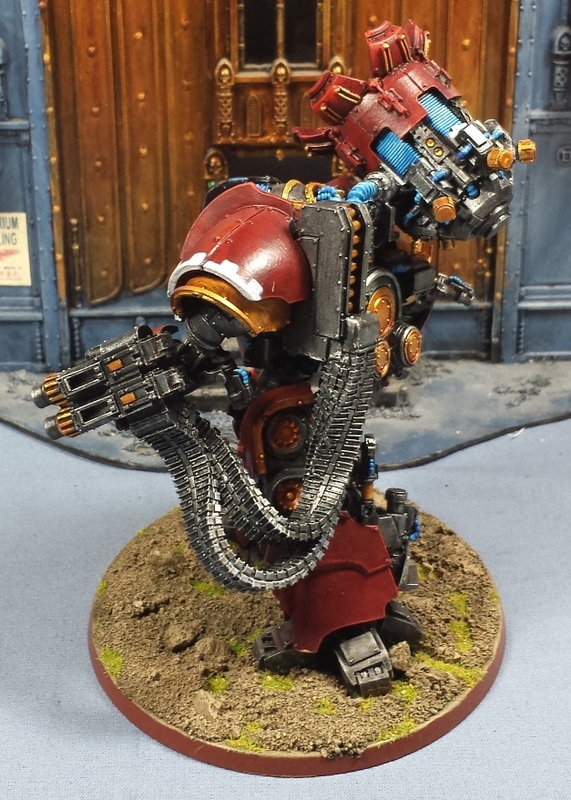 If FW only could release some skitarii to go with them. That is one badass bot'! Nice work my friend! Yay! Man I have to say the light blue and gold accents on the back of the thanatar really make it pop. Also, I dig the gloss-black of the "head" shell. @Damn The Valley: Nice! I really want to get my hands on a Krios - hope to see some pics of what you come up with! @Greg Hess: Thanks! I have yet to field any of 'em, quite looking forward to seeing how they perform! @Agis: Totally! The tech thralls are neat, but I'd love to see some actual Skitarii as well! @Jugger: He's a beast, no doubt! @Eater of Small Things: Thanks man! Tried to have a common theme to the paint scheme running through all of 'em, worked out pretty well in the end! Heresy Era Thousand Sons - Feast of Blades is go! Heresy Era Thousand Sons - More HQ for the Sons! 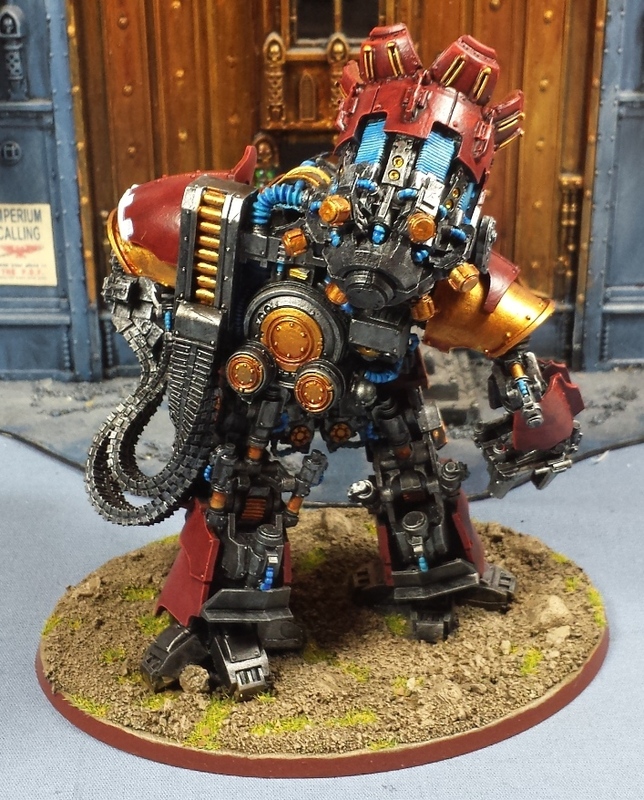 Adeptus Mechanicus - Thanatar Painting begins! Post #500 Giveaway and a look to the future!